To protect the privacy of the guests, they will be answering your questions completely anonymously. This also allows them to be more open with their answers. But rest assured, the people answering are either currently working in publishing or have worked in publishing for years. If you have questions you would like one of the guests to answer, submit them to this Google Form or simply leave them in the comment section! The publicists pick which questions from my list they want to answer for each feature, so if you do submit a question, be sure to check back and see if someone has responded to it! Hello, bloggers and readers! This edition of “Ask a Publicist” is going to be a little different because—plot twist!—I’m actually a marketer! I hope my insights are still helpful since I work closely with our publicity department and work with bloggers on my end of things, too. Let’s get started! How do you get your name on an ARC list? Reaching out to the publisher is always the best way to start a working relationship. It might be tricky to find the general publicity or marketing email used for ARC requests, but if you can’t find it on their website or social platforms, feel free to DM them to ask for it. Don’t put your actual request in a DM, though. If I read a book a publicist sent me and hate it, would they prefer me to review it or not? Would they want me to wait until publication? Would they still want me to send them the review? On the marketing side of things, we don’t pay as close attention to reviews as our friends in publicity. But we always encourage readers to share their honest and constructive thoughts if they feel like it, even if their opinions are less than favorable. But keep in mind that other departments (like marketing and sales) do pay attention to Goodreads stats and the like. So your low star ratings can actually have an impact—usually a negative one—on a book and, by extension, the author. What's the best way to get approvals on Edelweiss? What are you looking for in the "why do you want to request" box so we can give the most helpful answers? In all honesty, bloggers should not be using Edelweiss for access to e-ARCs. Edelweiss is a tool used by publishers to communicate information about their titles and provide resources to booksellers, not bloggers. Please use NetGalley instead—and make sure your NetGalley member type and profile are reflective of your role as a blogger. I’ve seen several bloggers list themselves as a bookseller, which isn’t accurate and makes us think they’re trying to game the system. Even if a blogger has thousands or millions of followers, they are not actually selling books. They can influence someone else to buy a book, hence the name “influencer”, but they are not a bookseller. What is your take on social media? Do you, as a publicist, pay attention to social media, such as its following, engagement... more than the blog's following and engagement, to approve a blogger for ARCs, for instance? Do both matter, or is social media more of an influence than a blog, nowadays? As a marketer who works with digital influencers, I do pay attention to stats, but not as much as you might think. What I look for is a high follower count, which, to me, indicates a large audience reach, and high engagement, which shows their audience is actually paying attention and actively interested in the content. That said, I also work with influencers with smaller followings because, at the end of the day, it comes down to the content they’re posting. I want to see dynamic, high quality content, whether that’s reviews, photos, or videos. 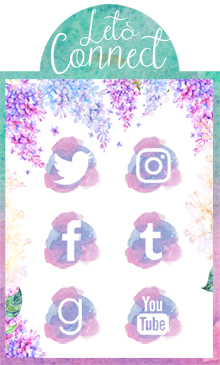 As for bloggers with additional social platforms, it’s always nice to see bloggers sharing their content across various mediums and reaching the different type of users on each. But you don’t need to be active on every platform to be more appealing to a publisher. Stick with what you love most and what works best for you and the type of content you love creating. After I receive an arc, would publicist like to be sent a link to the review? With stats? Do you monitor the blogger after you sent an arc? I may not read every review or post I’m sent, but I do like seeing some sort of feedback to show that the blogger/influencer actually took the time to read the book. I don’t actively monitor the people I work with, but I do try to stay up to date with what they’re posting because I love their content to begin with! If you get an arc, when is the best time to review? How can I get start getting chosen for official blog tours for publishers? I don’t think there’s a right or wrong time to share your review. Pre-publication reviews can help build buzz (if they’re positive, haha), on-sale reviews help raise awareness when people can walk into a store and purchase the book, and post-publication reviews can shine the spotlight on a book people might have previously missed. 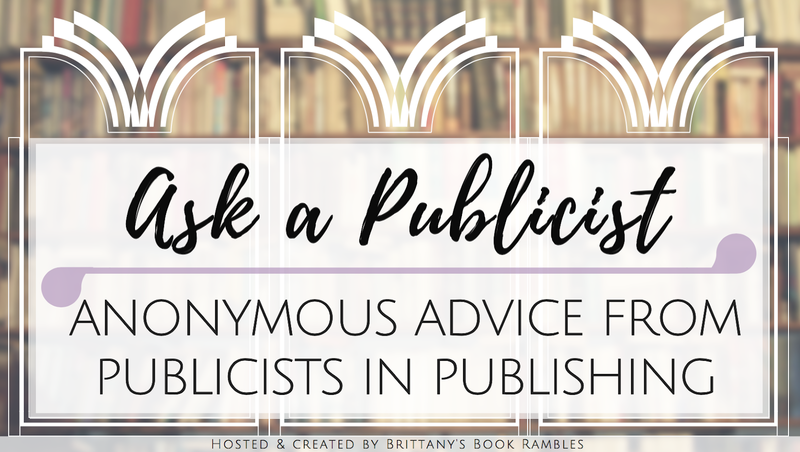 I’m a big believer that it never truly hurts to ask, so if you’d like to participate in a blog tour, politely ask the publicist! What do you do if you'd had a pretty solid working relationship with a publisher/publicist, like, many years, always reviewed everything they sent, etc, but then when they switched publicists, you suddenly found yourself completely on the outside? How do you reconnect/remedy the situation? I think this is referring to when a publicist switches companies? If so, most people will take their contacts with them, so if they liked you, they’ll probably reach out at some point to work with you once they’ve settled into their new job/role. If they don’t, then don’t worry about it and move on. More often than not, our needs change book to book, so don’t take it personally if you haven’t heard from someone in a while. If I sent a request through a request form already, can I still email a publicist about it? Nope, they’re looking at the request form entries, so there’s no need to email them. Lately myself and other veteran bloggers have noticed that newbie bloggers with few blog followers who only promote on a couple of different social media platforms have been getting high demand ARCs that we were denied. At first I thought maybe this was a YA blogosphere thing because publishers were trying to get teen bloggers involved, but then the Adult Horror bloggers also started complaining. So we were wondering, do publicists still check blogger gs to make sure the stats being given by these bloggers is truthful? There is one new blogger who has only about a tenth of my stats no IG account and no Facebook account who has been getting physical ARCs of highly anticipated books that I couldn't even get a digital Netgalley copies approved for. Why is this? It's kind of a slap in the face to bloggers who have been pouring time and money into our blogs for years. Are these new bloggers lying about their stats? Things had gotten so bad for me on Edelweiss that I emailed the help center thinking that my stats weren't showing up on my requests. An Edelweiss rep emailed me back an said she was confused too because my review ratio was fantastic and that I needed to contact the publishers, but whom do I contact? Okay, so, you might not like what I have to say and it’s going to sound mean, but I swear I’m not trying to be mean, haha. No one is entitled to ARCs. They are pretty expensive to produce and each department (publicity, marketing, sales, etc…) has a certain quantity that they’ve allocated for various specific purposes. So, there is not an infinite number of them to go around. Now, among the specified purposes that a publicist or marketer has outlined in their campaign plans are different avenues in which to distribute ARCs and some of these avenues, on the marketing side, might involve some sort of random selection like a sweepstakes, giveaway, sign-up, etc. As I mentioned in my answer for #7, sometimes our needs change based on the type of book or campaign we’re working on, which might mean we want to reach new bloggers who have different followers, even if their follower count is small. And, again, Edelweiss is not for bloggers. It’s for booksellers, so you may not be getting approved because the publisher is trying to stick with the intended user type. So, unless you’ve done something offensive (sold ARCs on eBay, are rude, etc…) I promise you’re not being blacklisted. If you have a good relationship with a publicist or marketer, feel free to message them and ask if it’d be possible to receive a copy. Do you have questions you'd like to ask a publicist? Remember if you would like to submit your own questions to be used to in this feature, fill out the Google form or simply leave a comment below! This is the first I've heard about Edelweiss being for librarians and booksellers. I always thought my odds were better on EW than NG. It is for bloggers, too. They have a blogger's designation on the site and they even had an online help seminar specifically for bloggers when they changed their layout. I still get ARCs there and I am pre-approved by a children's picture book publisher. I didn't realize bloggers weren't supposed to request via Edelweiss...I always have better luck there than on NetGalley. This was a really informative post, and I'm so glad you shared it! It is for bloggers, too. They have a bloggers' designation on the site and they even had an online help seminar specifically for bloggers when they changed their layoutlayout, so that info is wrong. I had no idea that book bloggers weren't supposed to use Edelweiss! I've used that and have had so much success as opposed to when NetGalley. I'm glad that you did this. I learned a lot just from those questions. It is for bloggers, too. They have a blogger's designation on the site and they had an online seminar for bloggers when they updated the site. I don't know where that marketer got that idea. Personally, I have never used Edelweiss, and apparently I did well ;) Good job with this post! It's very informative, especially for newbies, I really think it clarifies lots of things everyone should be aware of. This was SO helpful, especially cleared up things I was wondering (and frustrated😂) about Edelweiss ahh! I'm glad you run this feature! Love all this info! Super helpful especially the EW stuff. This is really interesting, especially the part about Edelweiss. I've been blogging for several years, and I've never heard this. I don't request things on there often, but I have done it from time to time. I will definitely keep this in mind for future requests and use NetGalley whenever possible. The Edelweiss thing is still totally blowing my mind. I know a few bloggers who get more approvals on EW rather than NG though, so that's strange. 😂 But this is such a helpful and informative post. It's also nice to know that some publicists take into account more than just blog stats! The info about EW is wrong. Edelweiss still has a blogger designation, and they had an online seminar specifically for bloggers when they updated their site to help us navigate the new design. I still get books ARCs there and I am pre-approved by a Children's picture book publisher. There's a lot of great information here, Brittany. Thanks for doing this post. I had no idea that Edelweiss was mainly for booksellers. That makes me feel better about why I've never gotten approved for an ARC there, lol. First of all if Edelweiss is not for bloggers, why do they have a bloggers' designation? When they switched over to their new design they even had online help classes for bloggers to navigate the site. I am still auto-approved for a children's book publisher there, and tech support has helped me with a couple of glitches on my review page. They all know I'm a blogger, so that info is dead wrong. Also, the part about "no one is entitled to an ARC" thats true, but if they cost that much why would they give them to bloggers who have been blogging less than a year who has less than 100 blog followers, 50 Twitter followers, and no IG, Facebook, or Tumblr; instead of veteran bloggers with over 1,000 followers? That makes no sense. If Edelweiss isn't for bloggers, someone should tell Edelweiss that... Their tag line is For Reviewers, Educators and Book Lovers. OMG, this is such an INTERESTING feature, Brittany! And unique, as well! I certainly haven't come across anything like this on other blog! It's so helpful to be able to get answers to our most common questions regarding ARCs! I've been wanting to get on ARC lists myself!